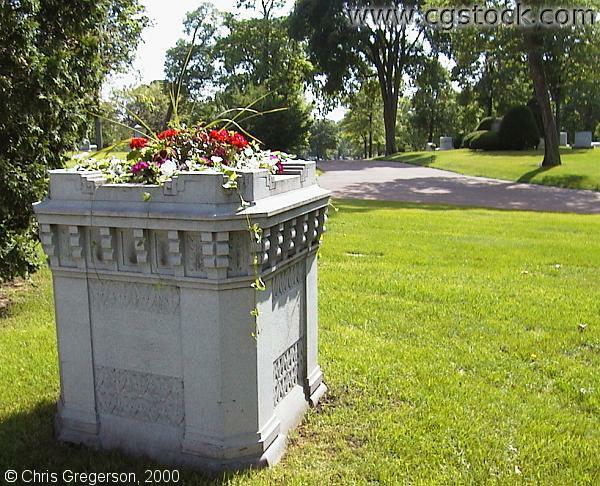 You are sitting on a stone bench near lot 23 at Lakewood Cemetery, looking southwest. The main entrance is behind you, north and west. I don't have a picture of the bench I was sitting on when this photo was taken, but it might help you place this scene if you visit the cemetery. It has a high back and arms, like a sofa.